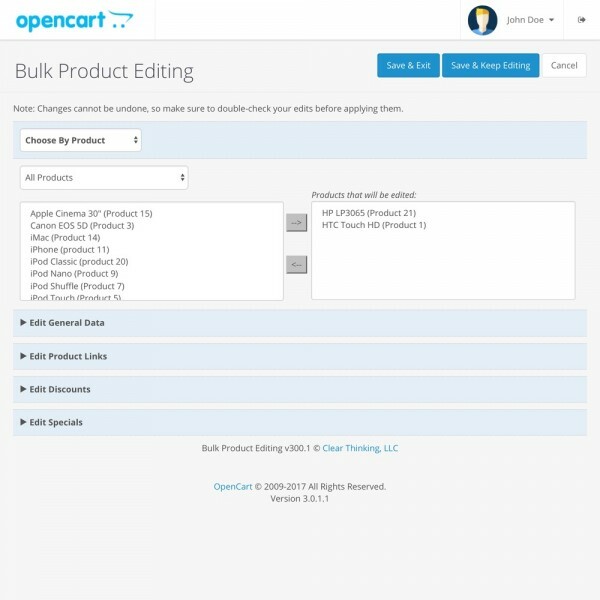 Quickly edit products in bulk, as many as you want at a time. 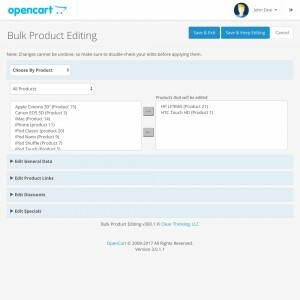 Select products individually, by manufacturer, or by category, then edit their general data, product links, discounts, and specials. 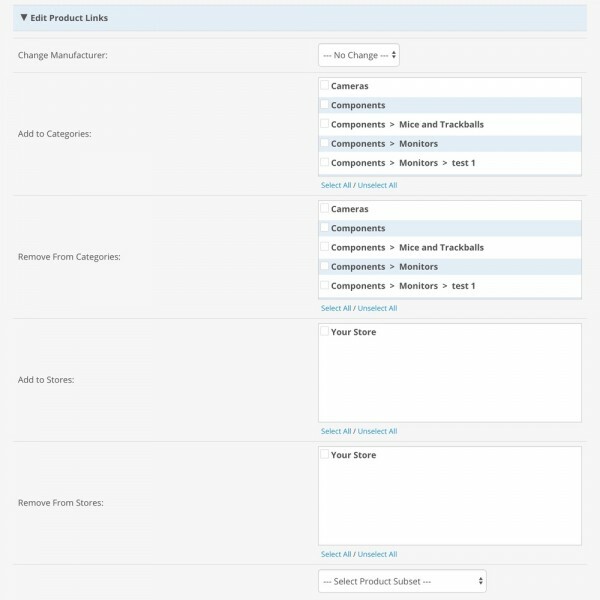 Change all general data fields at once, or select only the data fields you need to modify. 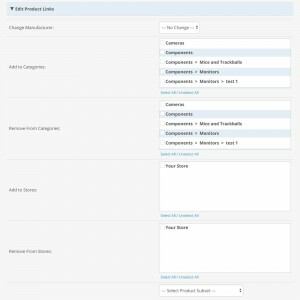 Add products to categories and stores, while removing them from other categories and stores at the same time. 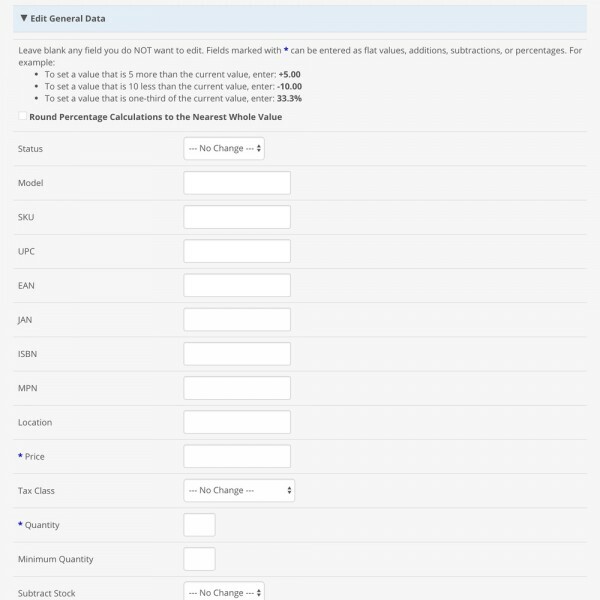 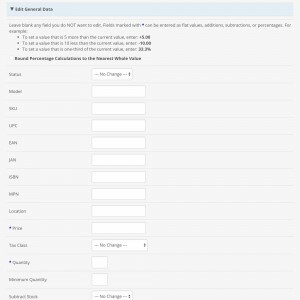 Enter discounts and specials as flat values, additions, subtractions, or percentage values — the appropriate price for each product will be calculated and inserted into the database. 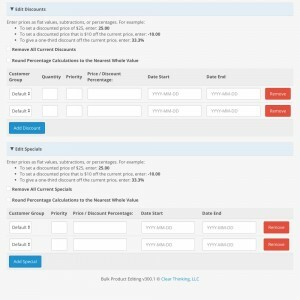 Optionally remove all current discounts and specials when entering new ones. 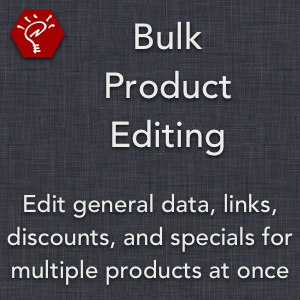 For editing any product data field, including attributes and options, see Bulk Product Editing Pro. 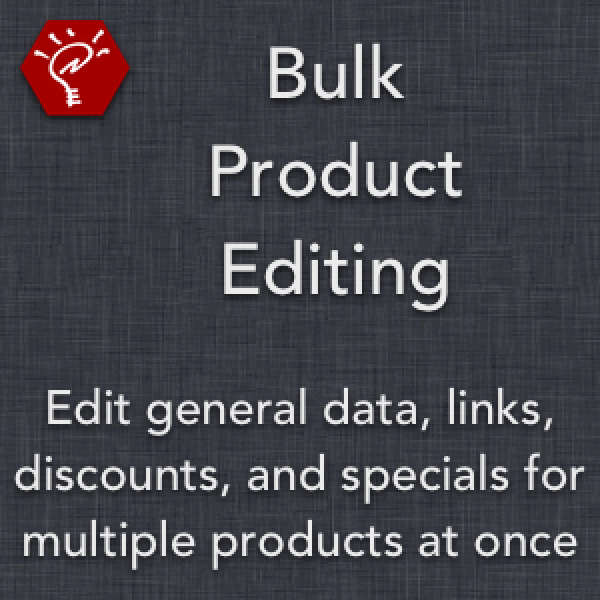 To inquire about upgrade pricing from Bulk Product Editing, contact Clear Thinking.